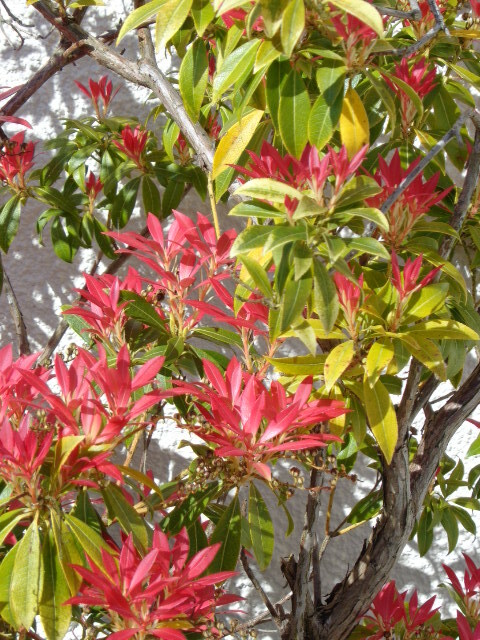 We have had two weeks of glorious sunshine and the garden has come on in leaps and bounds. Today I picked our first rhubarb and cooked it up. What I do is cut it into chunks, wash it, add some orange juice and honey to the pan and simmer til soft. I think this was a Jamie Oliver idea,but anyhow it is delicious cooked like this. 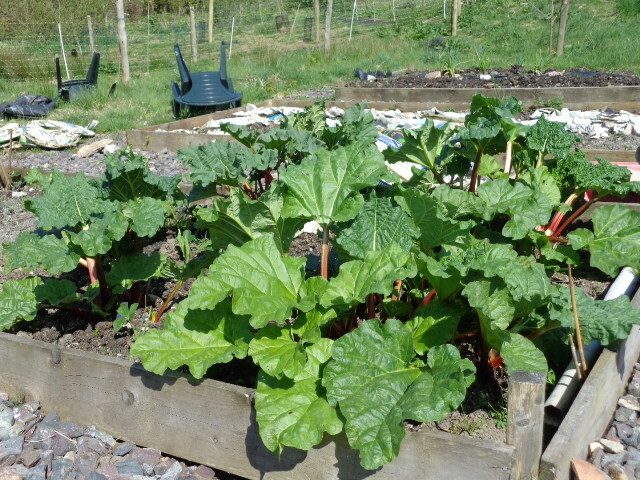 I am making rhubarb crumble tonight. Nothing like eating it fresh. 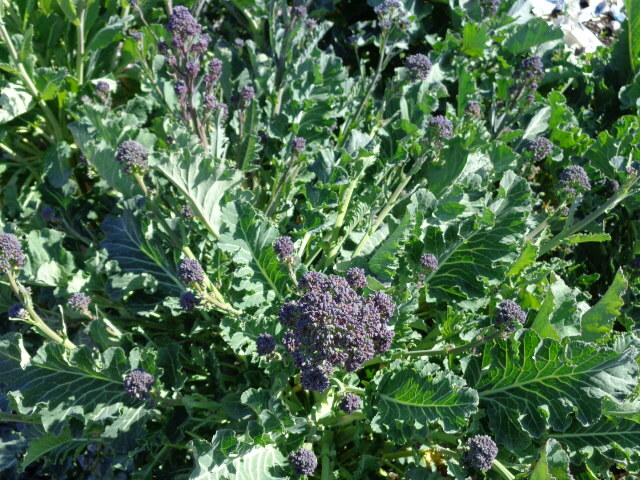 Also our purple sprouting broccoli has started sprouting. Two weeks ago it was just leaves, now it has spears. I picked some for dinner tonight. 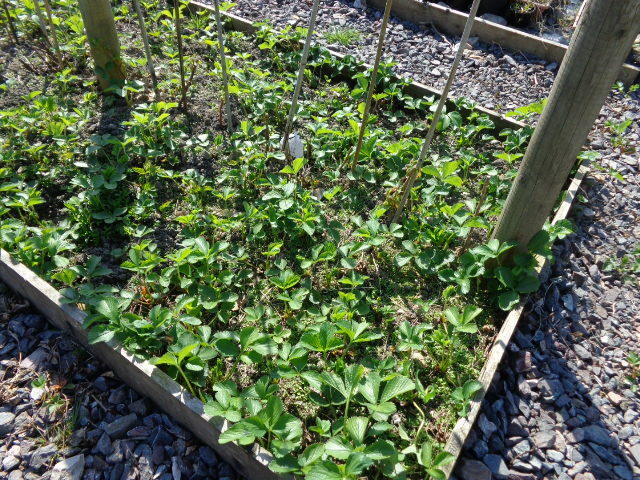 The strawberry plants are looking healthy. 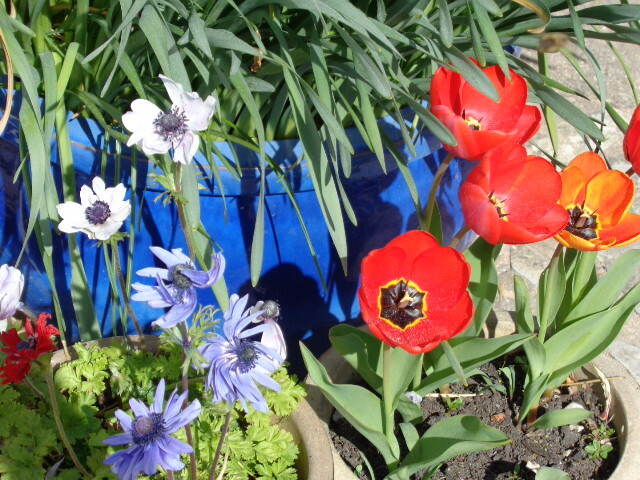 In the front garden the daffs have died off and now it is the turn of the tulips and anemones. Next to plant are the main crop potatoes. 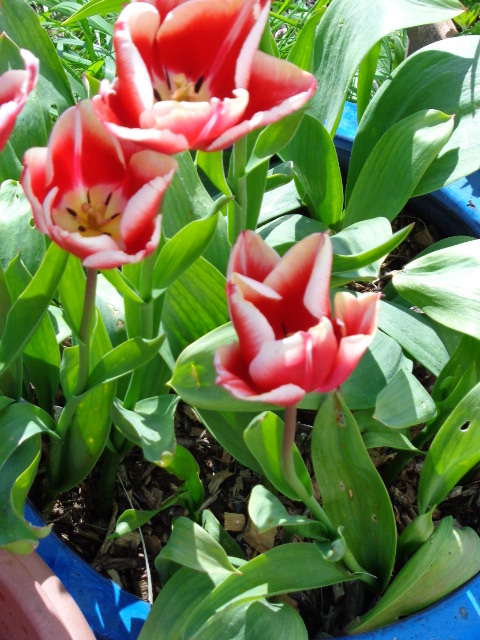 Looking forward to this year’s growing season.